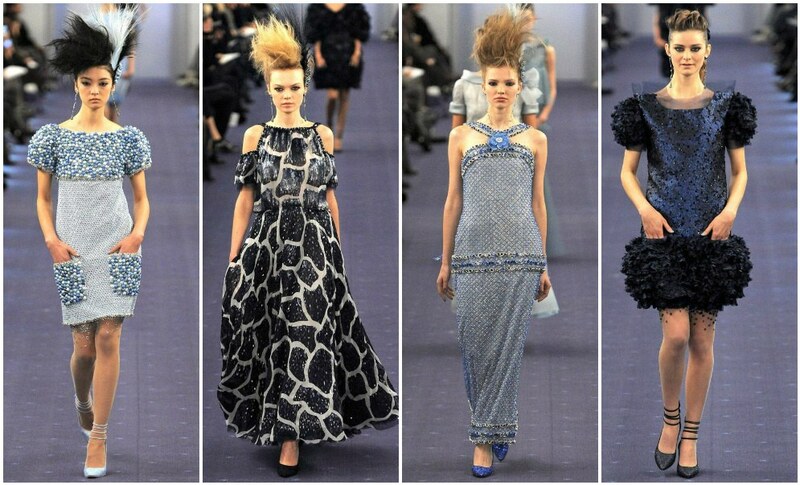 In Chanel Spring/Summer 2012 Haute Couture Collection, presented a few days ago at Grand Palais in Paris, the accent comes mostly in blue shades and dark colors, where simplistic details, long and slim silhouettes take the lead into elegant and chic runway look perfectly made. The outfits are very distinct between them, in shapes, cuts and entire head-to-toe appearance which makes the collection come as a unique series of clothes presented for the couture season. There were evening suits , cocktail dresses, short jackets , ankle-length coatdresses, pleated skirts, color-blocked or shinny dresses. This entry was posted in Clothes and accessories and tagged Chanel. Bookmark the permalink.